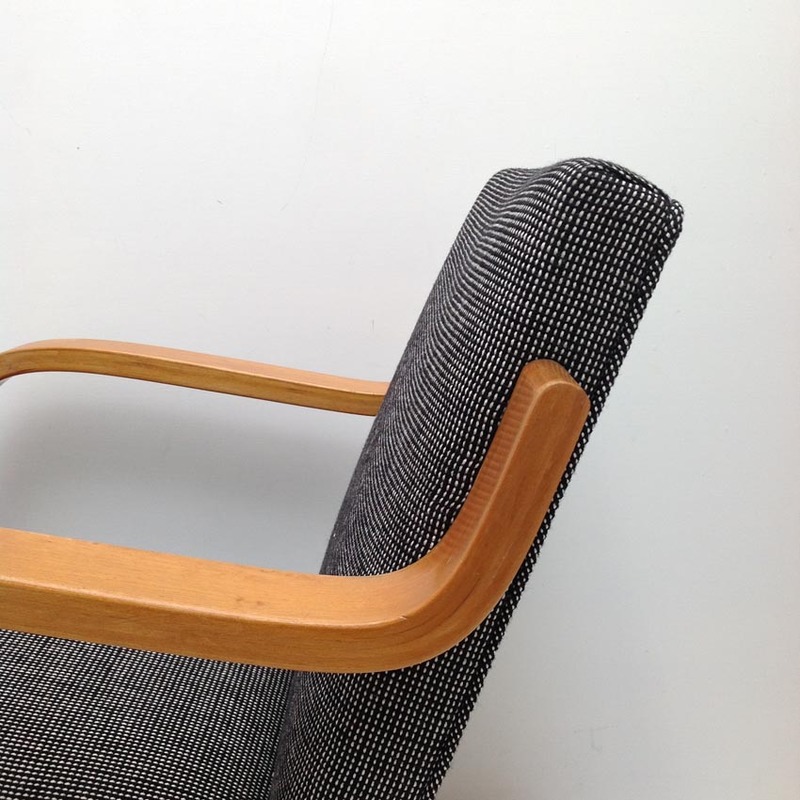 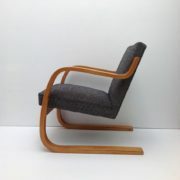 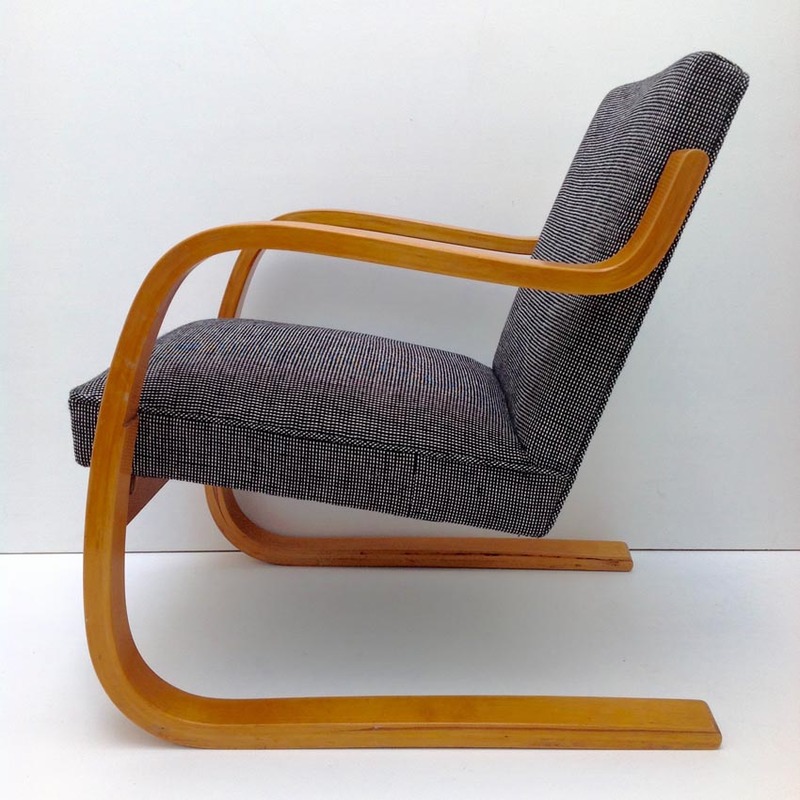 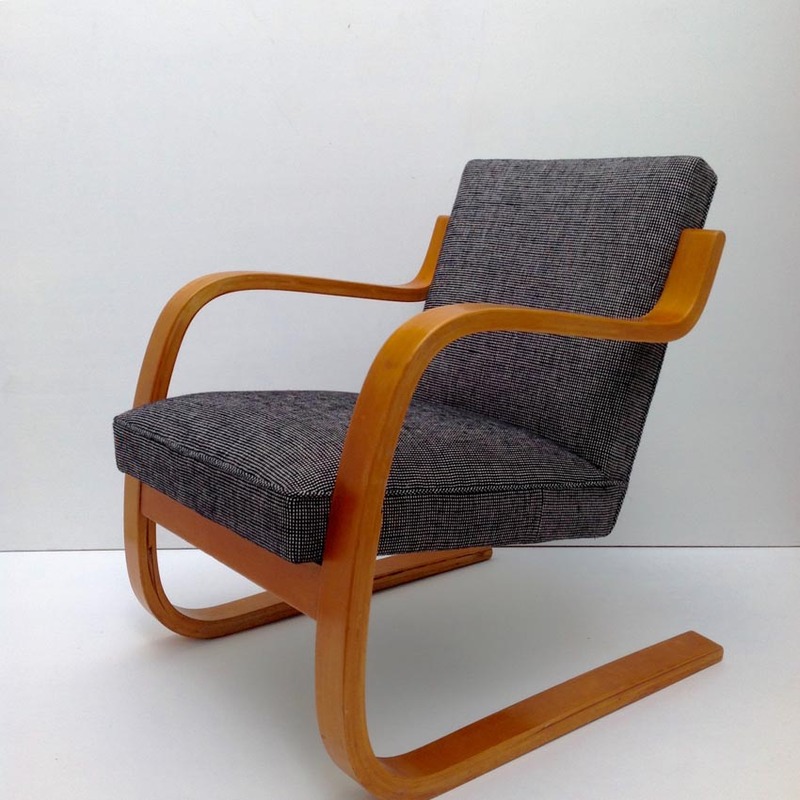 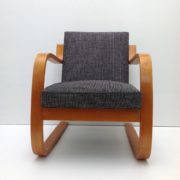 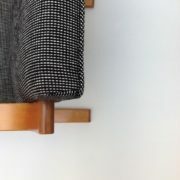 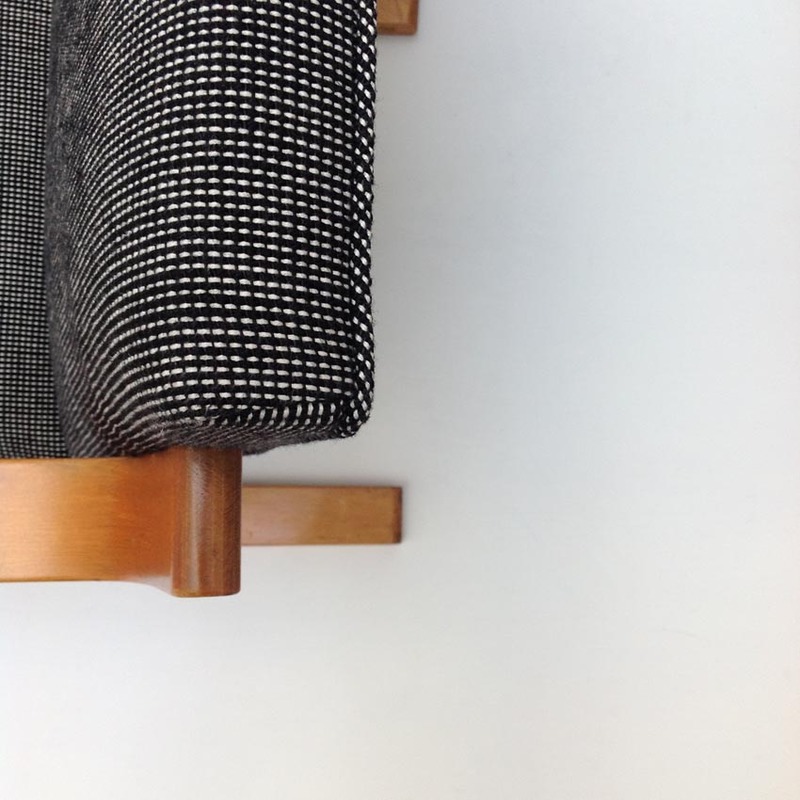 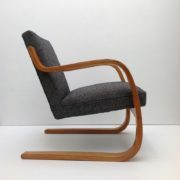 A fine example of Aalto’s cantilevered 402 chair. 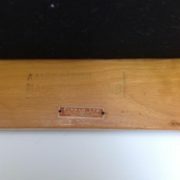 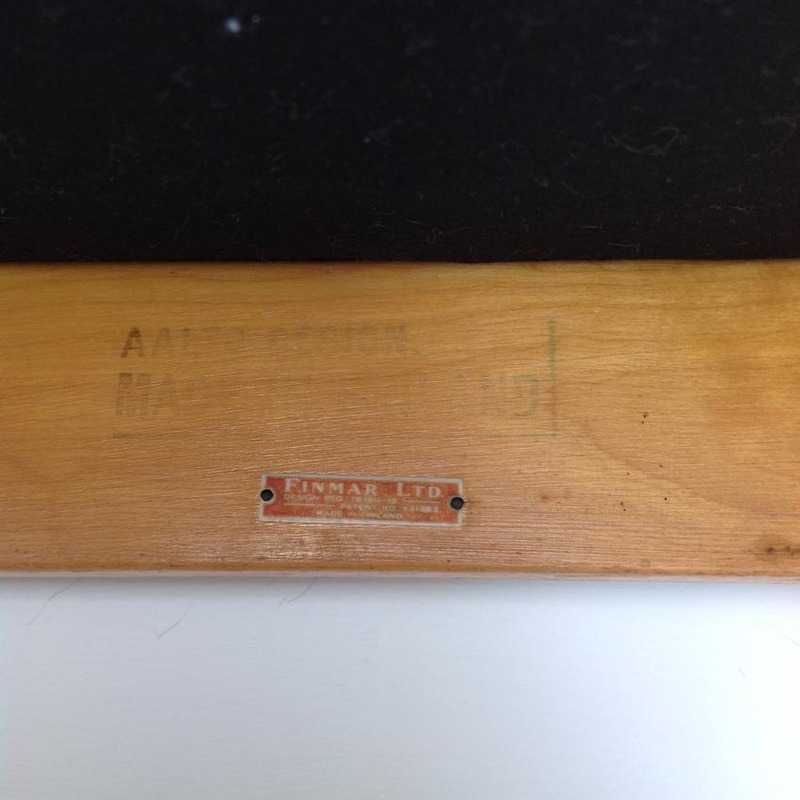 Strong bent birch ply frame with deep golden colour with Red ‘Finmar’ ivorine plate indicating a very early production model. 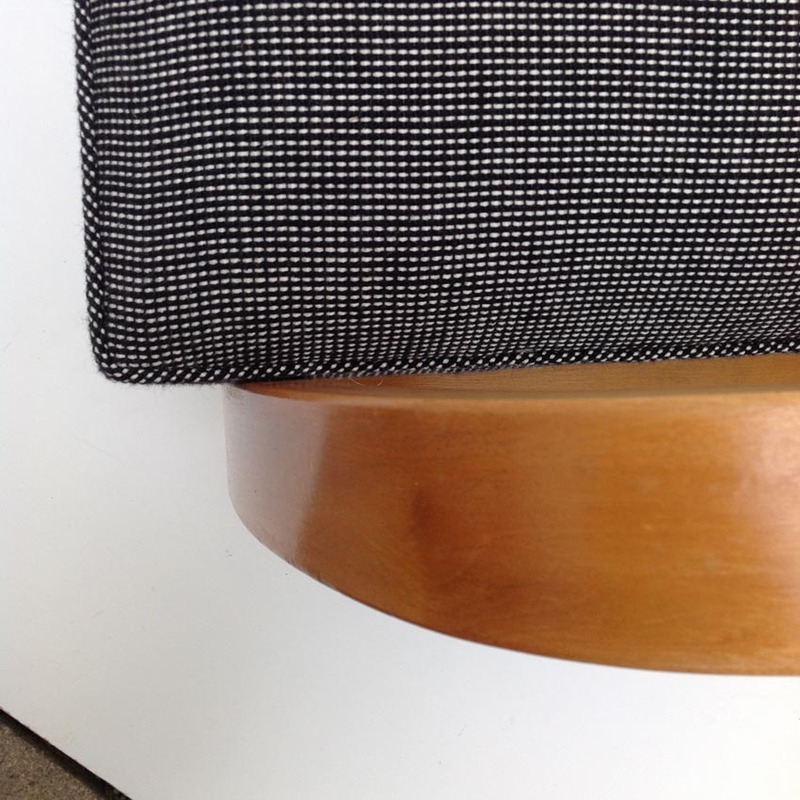 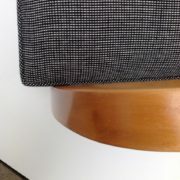 The sprung seat and ply sprung back has been re-upholstered in Mourne ‘Spot’ textile designed by the modernist designer Gerd Hay-Edie.